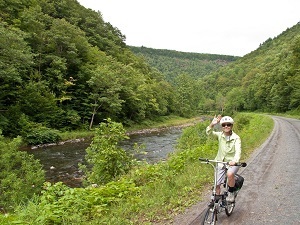 The Pine Creek Trail is one of the Northeast’s exceptional rail-trails, winding its way through what Pennsylvania calls their “Grand Canyon.” This 62-mile, mostly-flat route flows through portions of the Tioga and Tiadaghton state forests, following Pine Creek—a river really—through a landscape of thickly wooded mountains. The canyon is as popular with recreationists as it is with wildlife, and little villages along the way are perfectly scattered to offer rest stops; some have food, drinks and ice cream. Fly into Elmira-Corning Regional Airport in New York (ELM) and drive about 50 miles to Wellsboro, PA. We recommend staying at Bear Mountain Lodge about 6 miles west of town and near the trail. The owners have two other properties, one in town and another 2 miles south of town (Bear Meadows). If you stay at their 131 Main Street property (named for the house’s address), you’ll enjoy an1860s home in downtown Wellsboro, where you can walk to shops and dining. At all three places the hosts provide plenty of snacks and $10 coupons for the Wellsboro Diner. 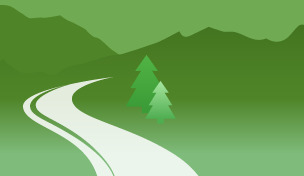 From Bear Mountain Lodge, you can safely and easily ride to the trail. From the other two properties you’ll want to drive, but by car it’s no more than about 10 to 15 minutes to Wellsboro Junction trailhead. 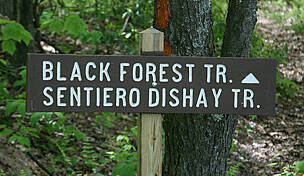 Do-it-yourselfers will find plenty of beautiful campsites, both public and private, all along the trail. In addition, you’ll find several seasonally operated inns in the hamlets along the way. You can rent bikes at Pine Creek Outfitters, which also has both custom and scheduled shuttles. Bike rentals are available at Bonner Sports & RV in Jersey Shore, too, if you want to start at that end (but it’s uphill to Wellsboro). Wolfe’s General Store in Slate Run, about midway along the trail, also has a small selection of comfort bikes for rent. Because of the many access points, you can slice and dice this trail in several ways: (1) one long day; (2) one long and one short day; (3) two moderate days; or (4) three or more easy days. The entire route from Wellsboro Junction to Jersey Shore is 62 miles (and slightly downhill north to south on a 2% grade). The option described here is to ride the northernmost 8 miles on Day 1, leaving time to explore Wellsboro. Reserve Day 2 for the rest of the trail, from Pine Creek Outfitters in Ansonia to Jersey Shore (about 54 miles). For $105, Pine Creek Outfitters will either pick you up in Jersey Shore or drop your car off. The latter is the better option because it doesn’t matter what time you roll into Jersey Shore. To take advantage of shorter segments, Pine Creek Outfitters operates scheduled shuttles between Ansonia and Blackwell (17 miles) and other trailheads by request. You must reserve a space on the shuttle or make advanced arrangements to have your car shuttled. 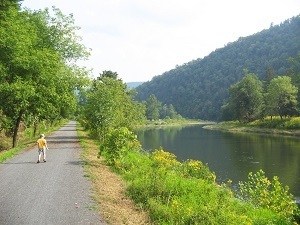 Get a taste for the trail by exploring the northern-most 8 miles between Ansonia and Wellsboro Junction. 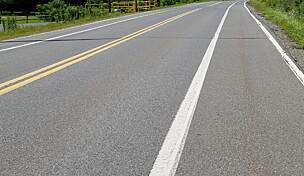 From Bear Mountain Lodge, ride your bike down the drive and go left on the main road (US Highway 6); in about 150 yards, turn right onto Webster Road. Pine Creek Trail intersects Webster just 0.5 mile farther down. When you get to the trail, head left (west). 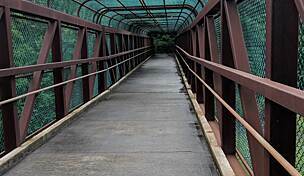 The trail soon bends south toward Ansonia; to the trailhead here, just before crossing under US 6, it’s 4.3 miles. It’s only another mile to the Darling Run access area, which has a little depot (visitor center has limited hours) and bathrooms (pit toilets). There are bike racks too, and you can take a short path to the river to dip your toes in (depending on the water level). An interpretive sign relates the area’s history. From Darling Run, trail’s end at Wellsboro Junction is 8.5 miles back in the direction you came from. This section has the largest stretch of open landscape than the rest of the trail’s 54 remaining miles through the Pine Creek Gorge. 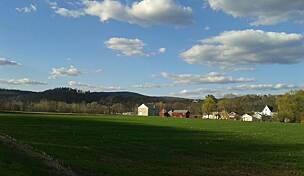 Farms and homes scatter themselves among marshlands rife with herons and geese in the valley below the thickly forested Allegheny Mountains. When you reach the gravel parking lot at Wellsboro Junction, pick up a trail map for the ride tomorrow. It shows all the stops and amenities. Then bike down the road about 150 yards to Pag–Omar, a farmers market and shop, where you can get a made-to-order sandwich, a cold drink and ice cream. Back on the trail heading west again, it’s only 3.3 miles to your jumping off point at Webster Road, which will take you back to your lodge. Later, head into town to explore on foot. The Chamber of Commerce has pamphlets for self-guided walking tours, which take you past old, stately homes, city buildings and the city park. The tree-lined Main Street has plenty of shops and restaurants to keep you busy for a couple of hours. Tonight, enjoy supper at the Mary Wells Dining Room in the old Penn Wells Hotel. The elegant setting caters to the best dressed as well as the shorts and T-shirts crowd. Salads, pasta, steaks and seafood round out the menu. If you crave a hearty breakfast for the long ride ahead (54 miles), check out Wellsboro Diner at the corner of Main Street and East Avenue. You can’t miss the faded green building that resembles a train car. 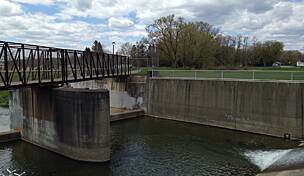 Next, drive to Pine Creek Outfitters in Ansonia (take US 6 W 11.5 miles; the building sits below the road on the left, just under a mile from the bridge over Pine Creek). From the outfitters, you can easily ride your bike on the wide shoulder of US 6 back toward the river. (If someone is available, the outfitters can also drive you and your bikes.) Just before crossing the bridge, turn left onto the gravel road near the old church. Follow the road to the trail access, about 0.3 mile from the turnoff. Gone are the old-growth forests of monstrous white pine, hemlock and hardwoods, fallen under 18th- and 19th-century axes for lumber, tannery operations, ship-building, fuel, furniture, barrels and Conestoga wagons that hastened Western settlement. Today the forests have returned, thick as ever, though the trees are not as large. With it, wildlife has also returned in spades, and you’re likely to see some as you ride along the beautifully smooth, wide trail. Bald eagles, ospreys, wild turkeys, herons, hawks, otters and beavers are common. You may also spot a coyote, deer or even a black bear rooting around in the tall grass near the river bank. The eastern rattlesnake, a protected species, also inhabits this area. You may see one basking on a rock, so take care if you go for a scramble, especially down by the water. Leave them be, and they won’t harm you. 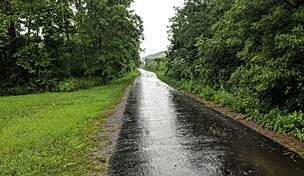 The northern section of the rail trail is flanked by state forests, and you will come across a few forest trails here and there leading up the steep mountainsides. 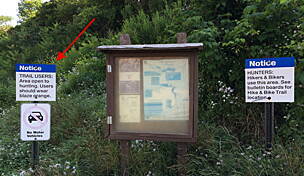 Look for a waterfall in Leonard Harrison State Park at the entrance to the Turkey Path. Wooden stairs go up the steep, rocky mountainside through the forest. The stairs line the tiered waterfall of Fourmile Run, which splashes its way down slabs of rock. On a hot day, take a splash yourself. 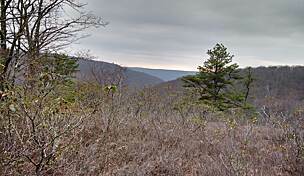 The 2-mile trail goes to the top of the mountain and is part of Leonard Harrison State Park. You might want to walk up a few flights of stairs, but if you’re riding the whole Pine Creek Trail today, save the Turkey Path for another day on a visit to the state park. As you ride on down the rail trail, you’ll pass by several other waterfalls, many of which run dry by late summer. Next you’ll reach Tiadaghton trailhead. The interpretive sign here tells more about the logging history of the gorge from which sprang little settlements. Here once stood two stores, a post office, hotel, school and two dozen or so homes, along with a sawmill—one of many in the gorge. Which brings us to the railroads, necessary for shipping lumber, supplies and people. The Jersey Shore, Pine Creek & Buffalo Railway (JSPC&B) was the first rail company to organize in the late 19th century but soon changed its name to the simplified Pine Creek Railway. In its waning days of the 1980s, the rail line served as an excursion train. 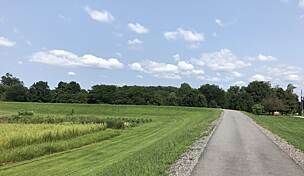 The trail corridor that followed is a relative newcomer to the rail-trail legacy, born in the late 1990s. 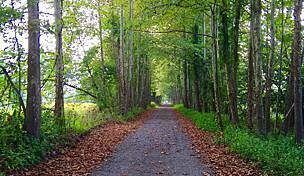 Continuing south from Tiadaghton, and for much of the way hereafter, the trail passes through lovely corridors of young sycamore and tulip popular, which spring up along the trail verges. Bright green leaves shimmer in the breeze, casting dappled sunlight on the path. Until you reach the sweet little community of Blackwell, you won’t find much civilization along the trail. Then suddenly nice cottages and a few newer homes appear. The Robert McCullough Jr. Access Area has a phone, water and restrooms. You can also get snacks and a cold drink at Millers Store, as well as rent fishing gear, float tubes and bikes. As you leave Blackwell, the trail crosses the river for the first of several times. A few miles farther is the Rattlesnake Rock area, where you’ll find a narrow dirt trail heading down to Pine Creek and a popular swimming hole. Bears pass through this area, and the name suggests you should also watch out for the legless version of wildlife with fangs. The section of trail from Blackwell south to Jersey Shore is by far the most populated. From Blackwell onward you will see scattered homes along the river bank, on the hillsides and in the meadows. River floaters and fishermen also play here, and you’ll see plenty of rafts, canoes, kayaks, inner tubes and other watercraft on sunny summer days. At Cedar Run you’ll pass a large private campground where some folks obviously come for the entire season. 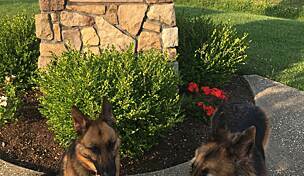 The Cedar Run Café (open seasonally only) makes for the perfect rest stop. Enjoy your custom-made sandwich on the veranda. Across the road the Cedar Run Inn has rooms and dining (suppers only). If you’re not hungry yet, you can always pick up a bite to eat at the next major stop: Slate Run. Wolfe’s General Store at Slate Run does sandwiches, drinks and snacks and also has an interesting selection of gifts, T-shirts and hats. It’s also the one-stop shop for those who love to fish; their large selection of tackle and guided fishing opportunities bring more than just cyclists to this oasis. Across the river is Hotel Manor, which specializes in Angus beef, sandwiches, home-made soups and appetizers (hours and service options seasonal). They also have a nice deck overlooking Pine Creek. From Slate Run, you still have 26 miles to Jersey Shore, and the trail remains much the same as it passes through several small hamlets and trailheads: Black Walnut Bottom, Cammal, Jersey Mills, Waterville (food and lodging), Bonnell Flats. A few road crossings require caution. By now you’ve probably noticed that because of the relatively flat grade, you’ve been pedaling the entire way. However, when you arrive at the outskirts of Jersey Shore, you actually have a short hill to ascend before reaching the trailhead. Take care crossing the busy Appalachian Throughway. An old caboose marks trail’s end and, you hope, your car will be waiting in the parking lot too. On your drive back to Wellsboro, take the scenic State Route 44/414, which passes through the gorge. At Morris, pick up SR 287 to Wellsboro. You can stop at Morris for a meal at Babb’s Creek Inn & Pub, located at the junction of the two roads. When you settle back in at Bear Mountain Lodge, soak in the hot tub then sit on the deck with a much-deserved drink to celebrate your ride. The counties of Tioga and Lycoming have incredible outdoor recreation opportunities, are home to quiet villages—some with out-of-the-way restaurants offering home-cooked meals—and have plenty of spectacular mountain scenery. For more information on hiking, boating, fishing, cycling, camping and other pursuits, visit Tiadaghton State Forest, Leonard Harrison State Park, Colton Point State Park, Little Pine State Park and Hills Creek State Park. Near Wellsboro you can take a scenic excursion on the Tioga Central Railroad, which offers theme rides (Halloween, fall foliage, dinner car, etc.). Go back a little earlier in time with a covered wagon ride through part of the gorge; cookout wagons, fall foliage and scenic tour themes are available. In Jersey Shore, the Historical Society offers tours of the Samuel Moss house, which was built in 1846 and features artifacts from the era as well as a small museum.